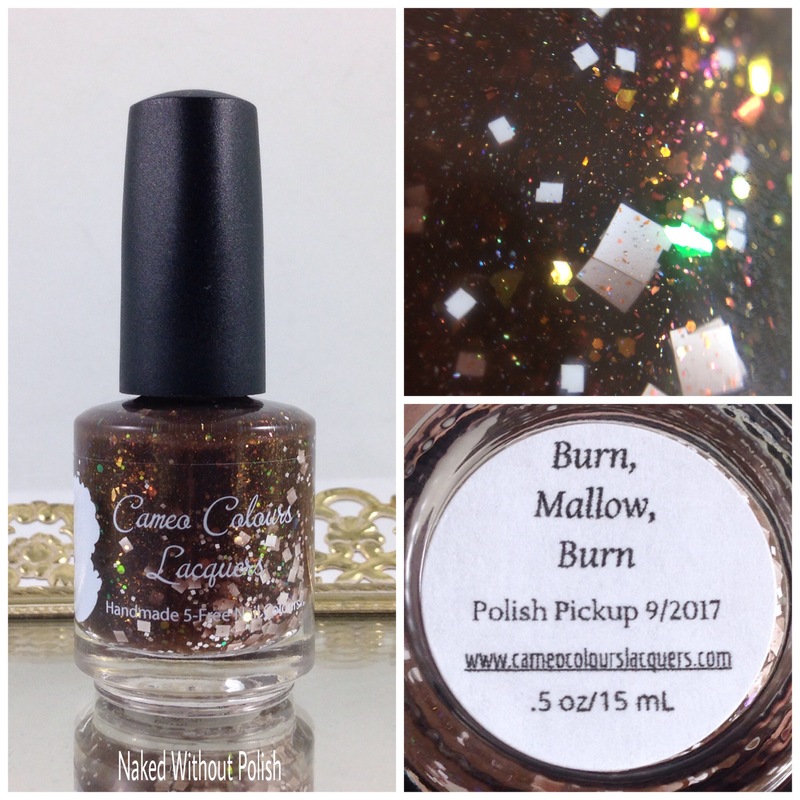 Burn, Mallow, Burn is described as "a brown jelly with red/bronze/copper UCC flakes, orange/pink/gold shifting flakes, multisize red/gold/green chameleon hex glitter, multisize white matte square glitters, and a bit of scattered holo sparkle". Shown is three coats of Burn, Mallow, Burn with top coat. 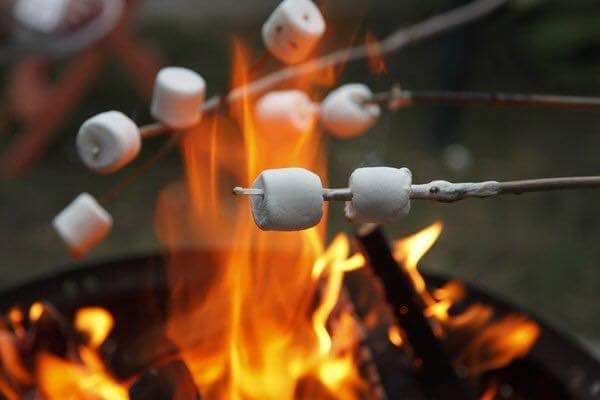 Burn, Mallow, Burn is a dreamy brown jelly. Perfect formula and smooth application. No fishing for glitter or working on placement. 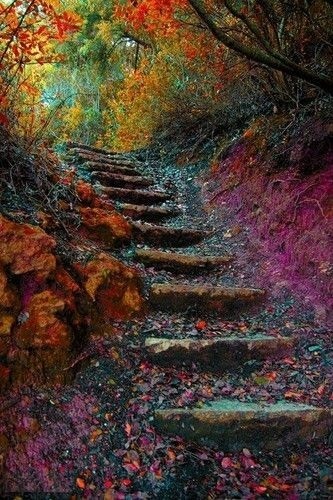 It applies like a dream and layers beautifully. You can get away with two coats, but you'll have a little VNL. Also, that third coat adds such a fantastic depth to the layering you'll want it anyway. 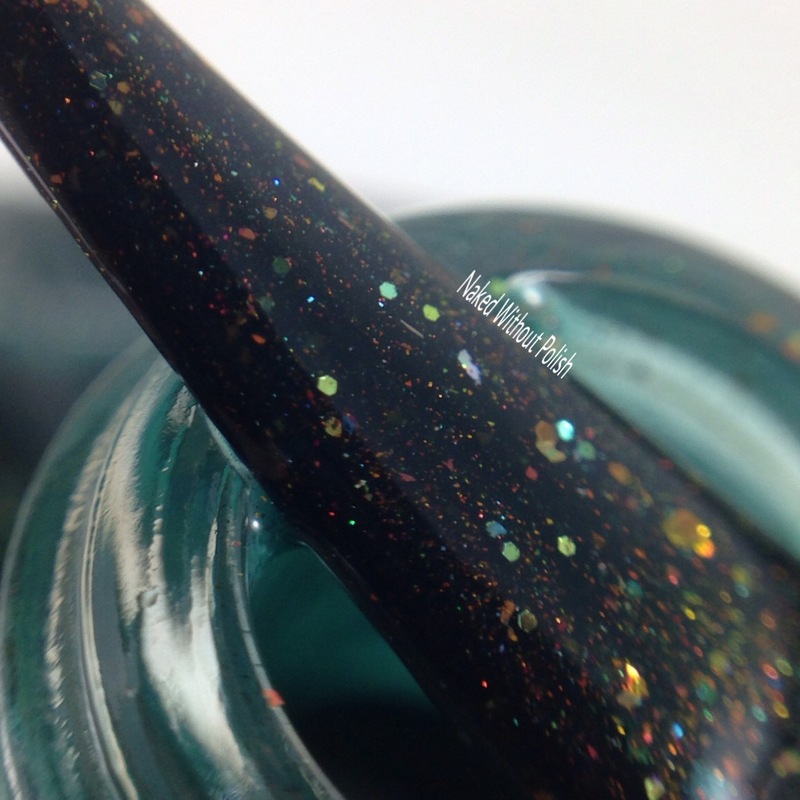 Psithurism is described as "a rich hunter green jelly with orange/gold shifting shimmer, holo micro flakes, green/gold/red ultra chrome flakies, and red, orange, and copper micro glitter". 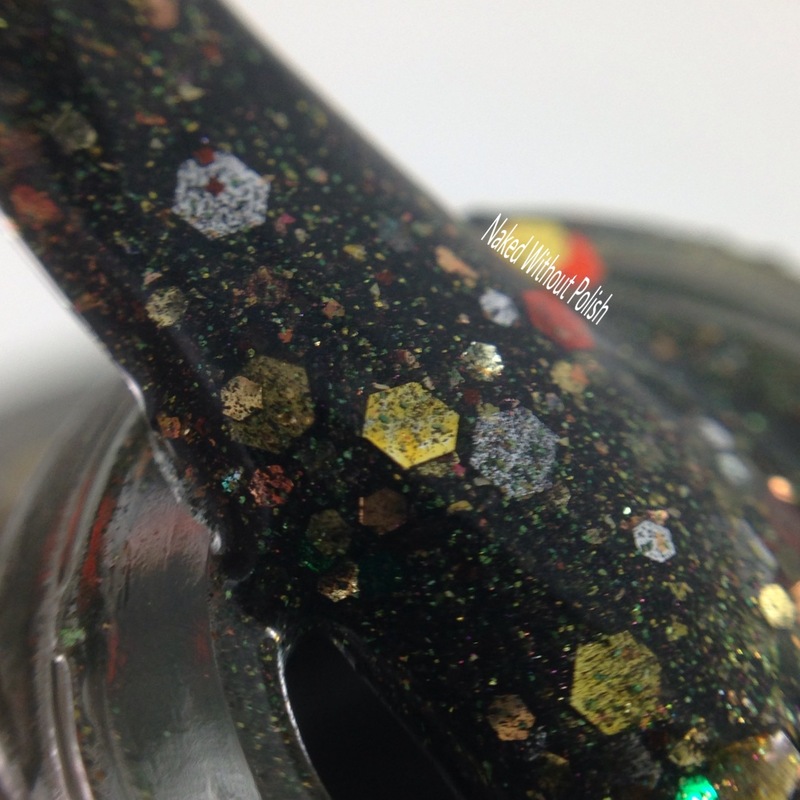 Shown is three coats of Psithurism with top coat. Psithurism is a thing of beauty! 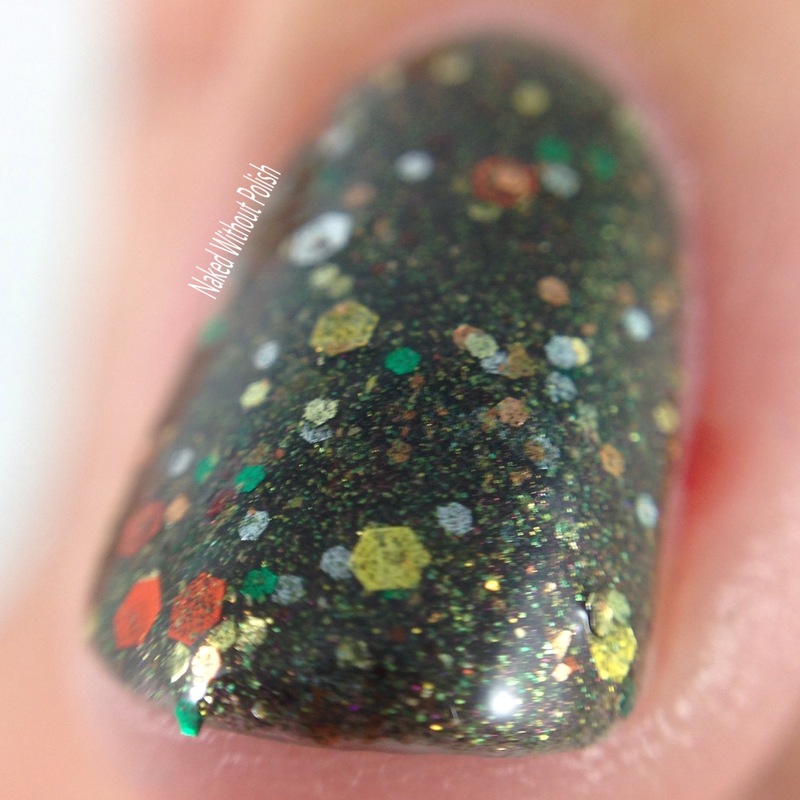 The base of this is a gorgeous shade of green on its own, but all the extras she put in work so well together. 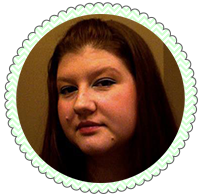 It is a little sheer, so use three coats to reach full opacity. Also, you'll get some gorgeous dimension in the layering. 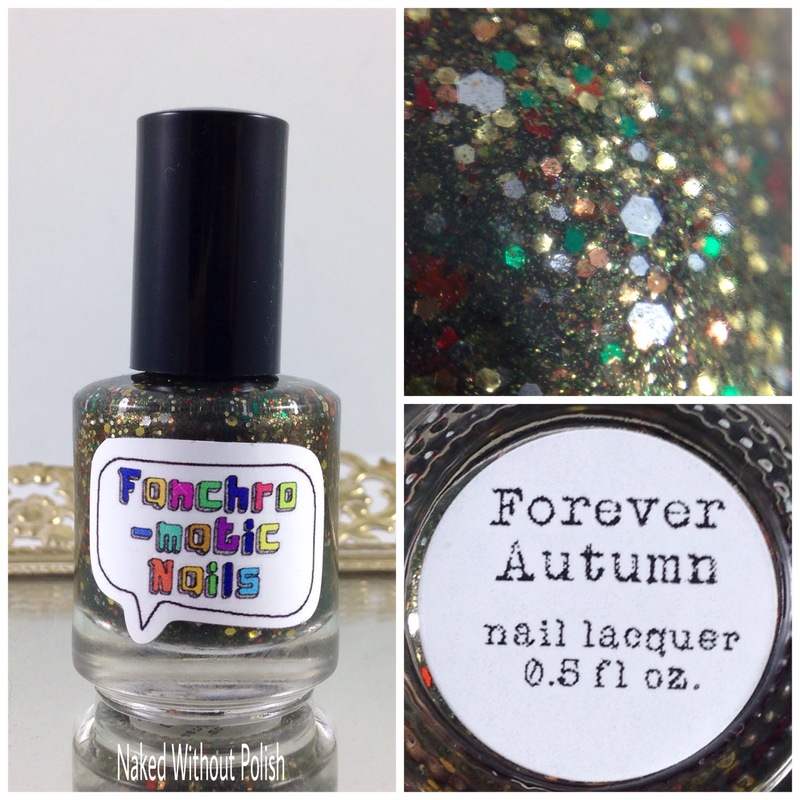 Forever Autumn is described as "a brownish olive with gold-green shimmer". 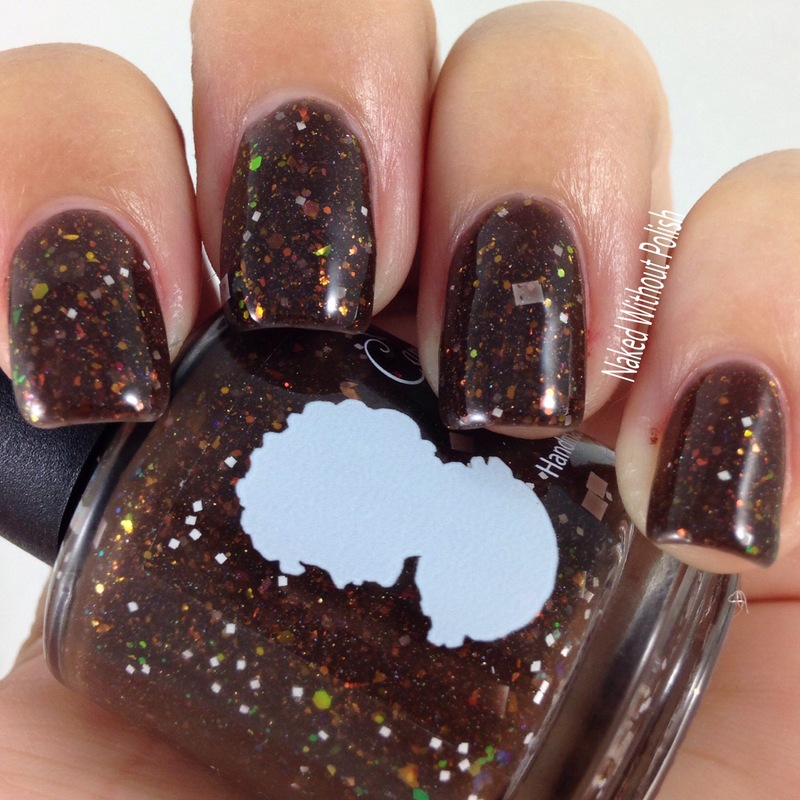 Shown is two coats of Forever Autumn with top coat. 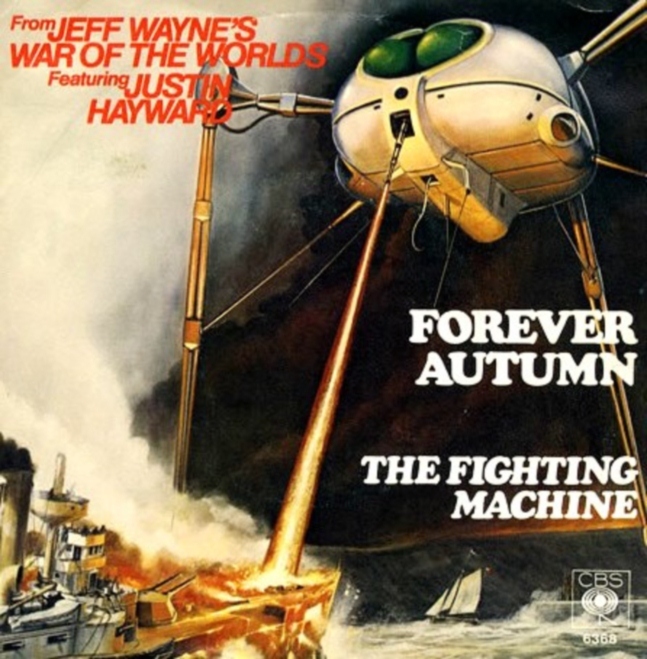 Forever Autumn is crazy good!! 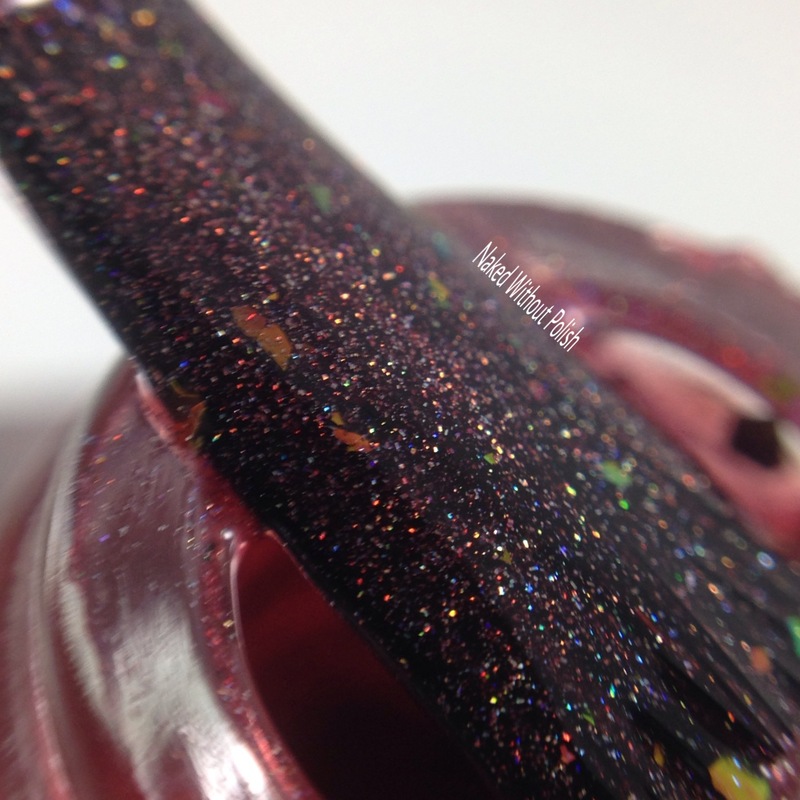 It is jam packed with glittery goodness, but not difficult to work with at all! Yes, it's a tad thick, but that is expected with a lot of glitter. You'll only need two coats of this one for full opacity. 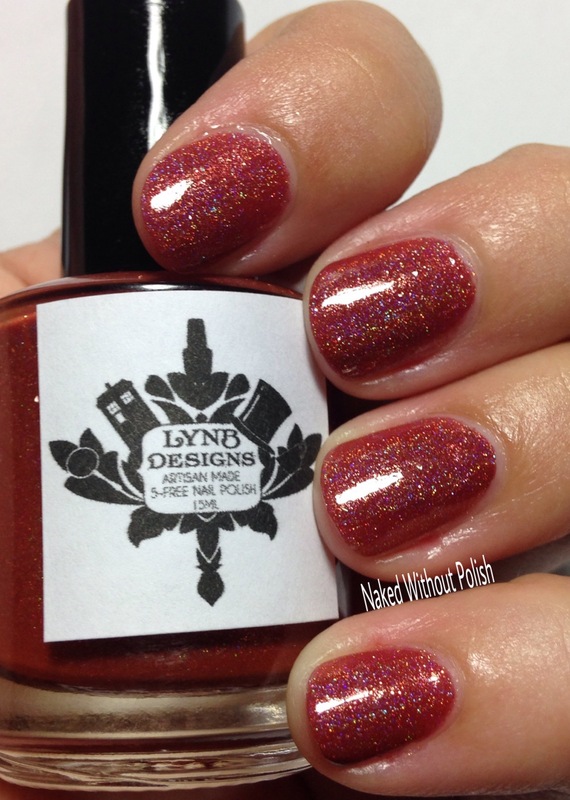 Leap Pile is described as "a rusty red base with linear holo, green galaxy flakes, and copper micro glitter". Shown is two coats of Leap Pile with top coat. 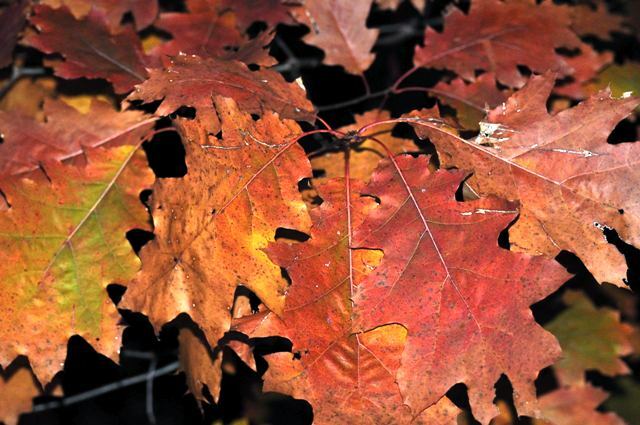 Leap Pile is the perfect shade of rust! Smooth, easy to work with formula. 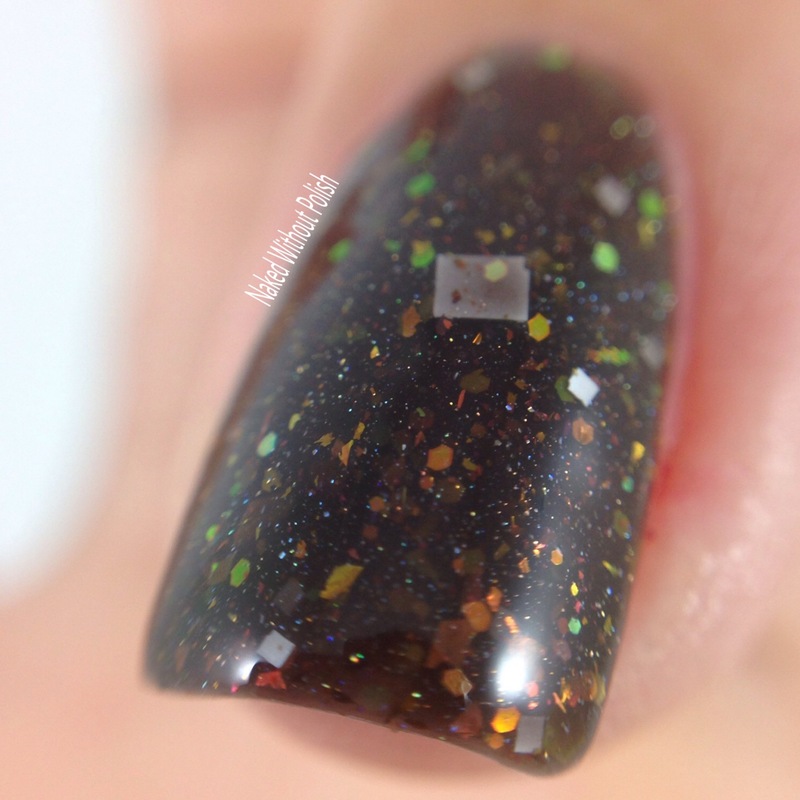 Only two coats are needed for full opacity with this one. 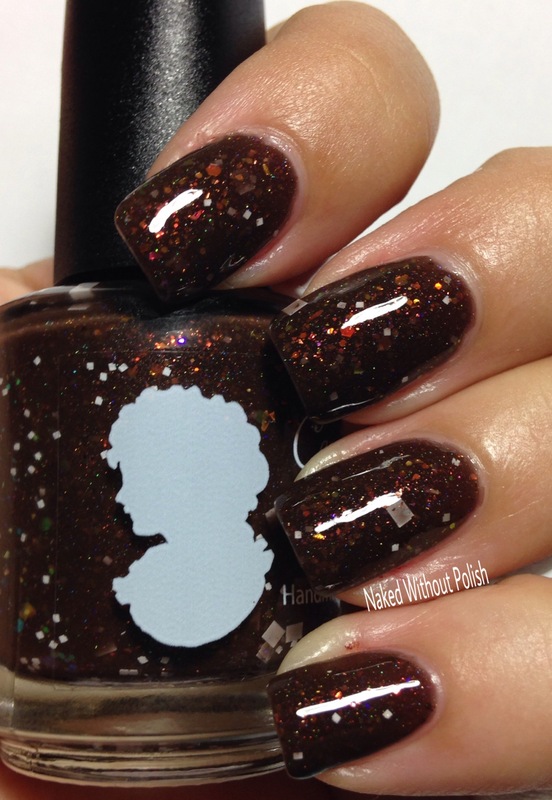 The added flakies are the perfect touch to complete this sparkly beauty. 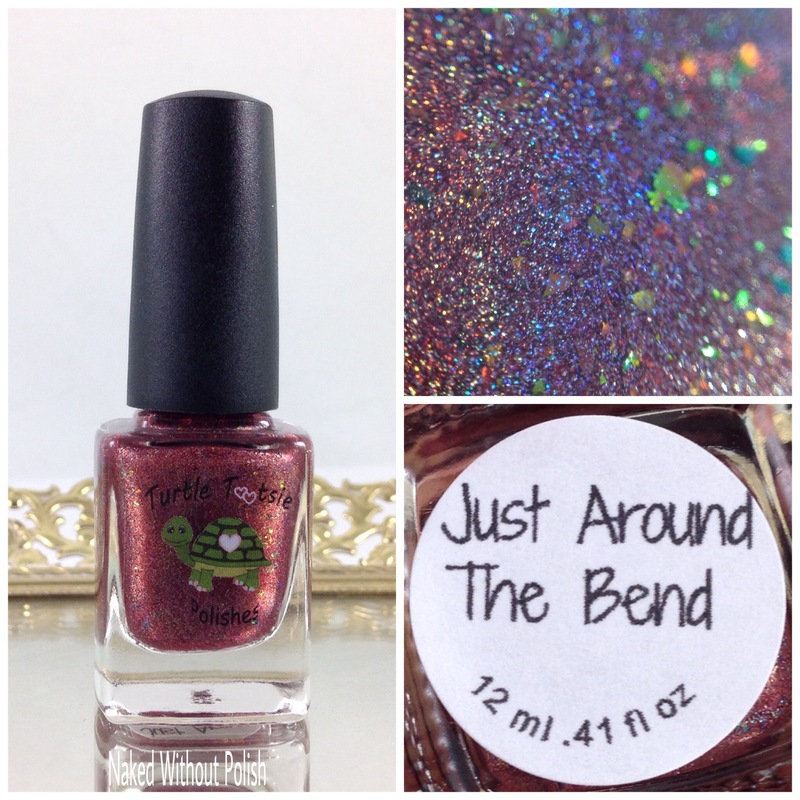 Just Around the Bend is described as "a brown-leaning brick red linear holo with assorted chameleon flakies". Shown is two coats of Just Around the Bend with top coat. Just Around the Bend absolutely blew me away! Once I stopped singing Just Around the River Bend from Pocahontas, I was able to fully appreciate this one in all its beauty. 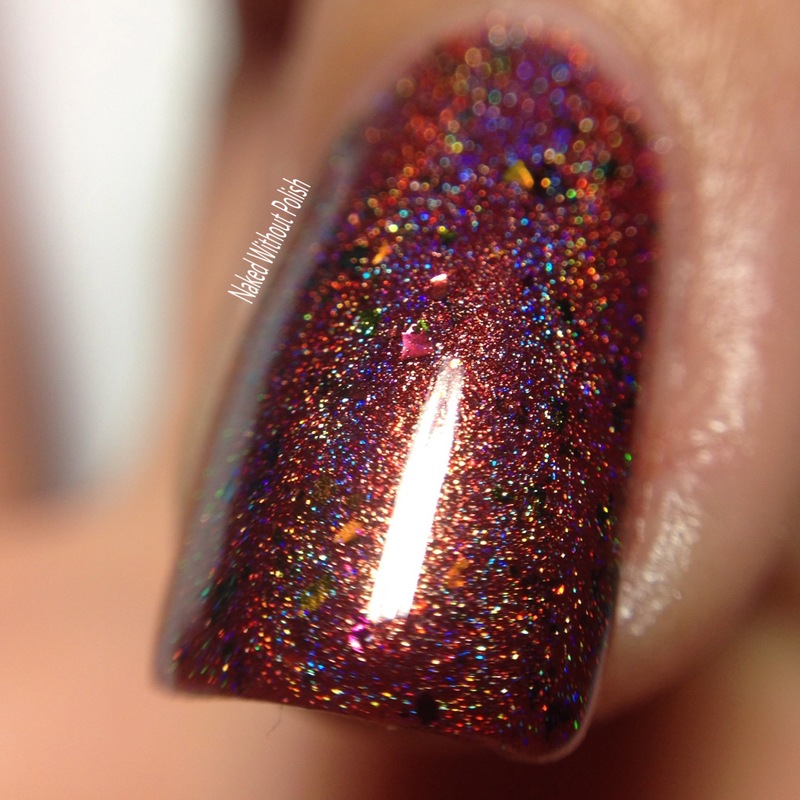 From the color to the flakies to the insane amount of holo...this is perfection! 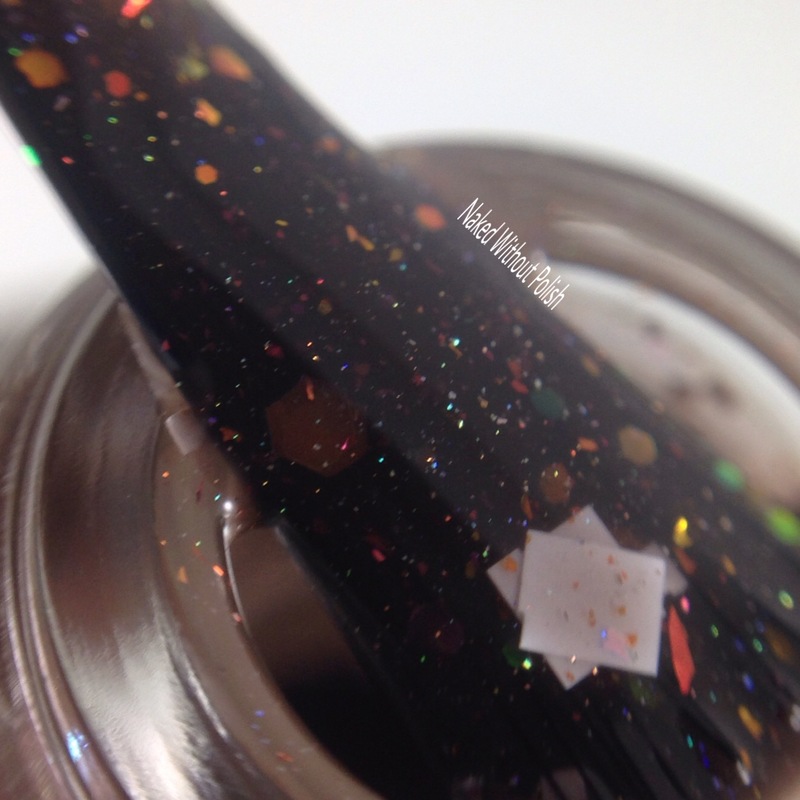 Smooth formula and application, and only two coats needed for full opacity. 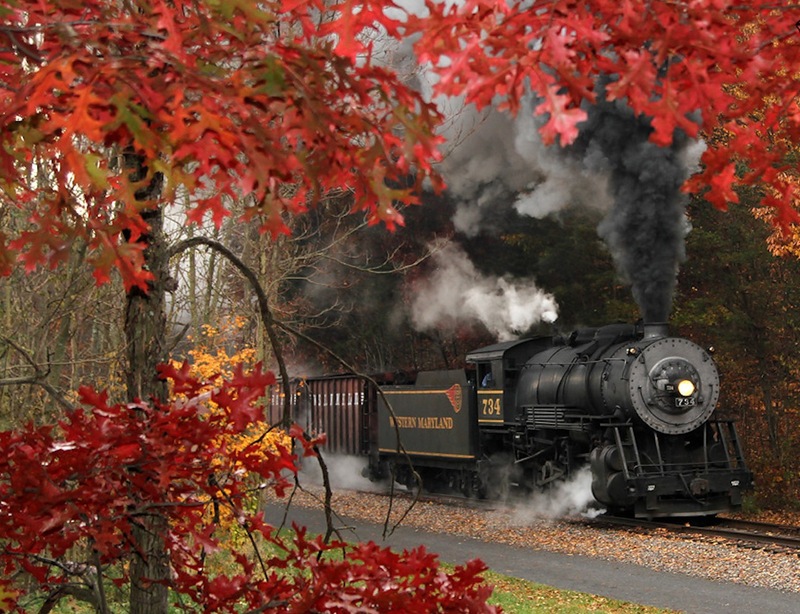 Get ready to be distracted! There you have it, people! 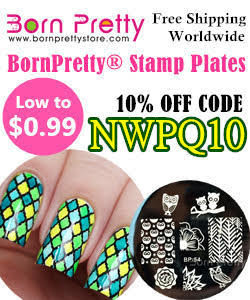 Five of the beauties that will be available to pre-order during the next Polish Pickup. 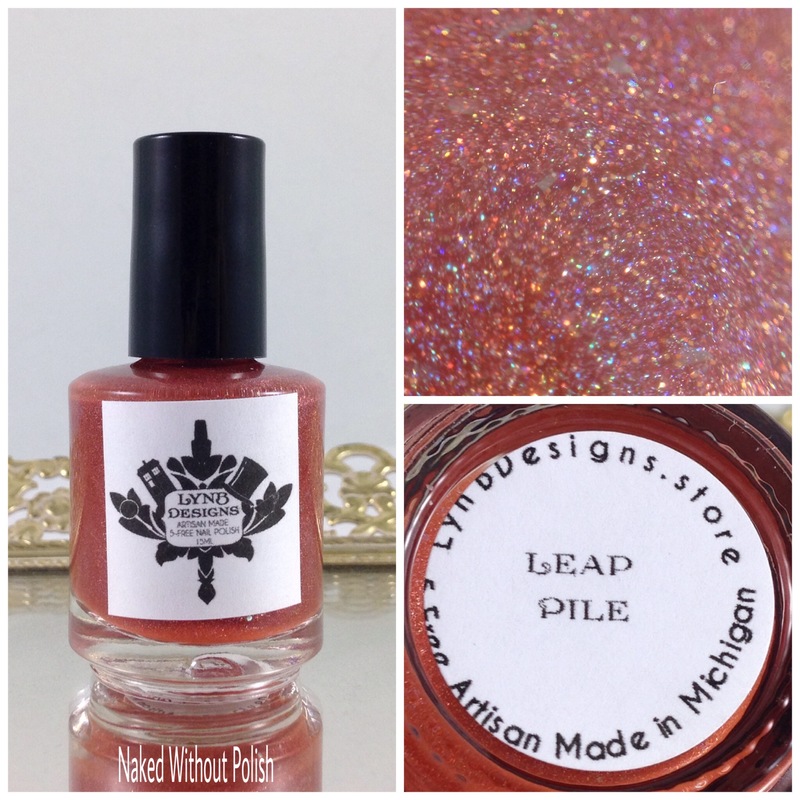 It just so happens, that the next Polish Pickup will be from Friday, September 1st through Monday, September 4th. 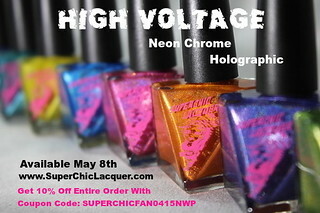 All the polishes will be available at www.polishpickup.com and each one will be priced differently. It is just super convenient to be able to purchase so many brands in one place. Make sure you are following Polish Pickup and all the brands on their social media platforms (links above and below) to stay updated on news releases and sales. What do you guys think of these?! 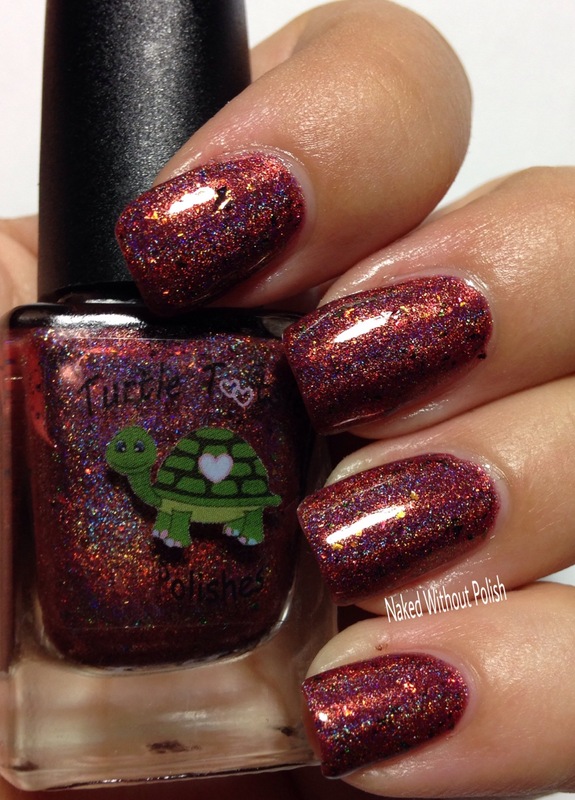 What is on your wishlist for Polish Pickup this weekend? !